Deep tissue massage is a type of massage therapy that focuses on realigning deeper layers of muscles and connective tissue. It is especially helpful for chronic aches and pains and contracted areas such as stiff neck and upper back, low back pain, leg muscle tightness, and sore shoulders. Some of the same strokes are used as classic massage therapy, but the movement is slower and the pressure is deeper and concentrated on areas of tension and pain in order to reach the sub-layer of muscles and the fascia (the connective tissue surrounding muscles). Our Victoria Registered Massage Therapists Molly Rose Scott, Jessica Bundy, Selena Curvelo, Natasha LeClair, Krista Deane ,Kathy Pantalon and Taryn Krizan are trained and experienced in these techniques. When there is chronic muscle tension or injury, there are usually adhesions (bands of painful, rigid tissue) in muscles, tendons, and ligaments. Adhesions can block circulation and cause pain, limited movement, and inflammation. Deep tissue massage works by physically breaking down these adhesions to relieve pain and restore normal movement. To do this, the registered massage therapist uses massage oil and often uses direct deep pressure. Muscles must be relaxed in order for the therapist to reach the deeper musculature. Does Deep Tissue Massage Therapy Hurt? At certain points during the massage, most people find there is usually some discomfort and pain. It is important to tell our Shelbourne Registered Massage Therapists when things hurt and if any soreness or pain you experience is outside your comfort range. There is usually some stiffness or pain after a deep tissue massage, but it should subside within a day or so. The registered massage therapist may recommend applying ice to the area after the massage. According to the August 2005 issue of Consumer Reports magazine, 34,000 people ranked deep tissue massage more effective in relieving osteoarthritis pain than physical therapy, exercise, prescription medications, chiropractic, acupuncture, diet, glucosamine and over-the-counter drugs. Deep tissue massage also received a top ranking for fibromyalgia pain. People often notice improved range of motion immediately after a deep tissue massage. What Can I Expect During My Massage Therapy Visit? Massage therapists may use fingertips, knuckles, hands, elbows, and forearms during the deep tissue massage. You may be asked to breathe deeply as the registered massage therapist works on certain tense areas. If it’s your first time at the Shelbourne Physiotherapy Massage clinic, arrive at least 10 minutes early to complete the necessary forms. Otherwise, arrive 5 minutes early so you can have a few minutes to rest and relax before starting the massage. 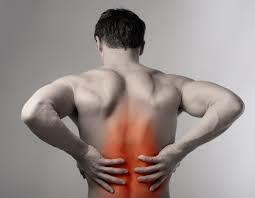 A deep tissue massage may result in muscle soreness or tenderness, which may last a day or two. Your registered massage therapist may recommend icing any painful areas. Deep Tissue Massage Therapy in Victoria, B.C.